Delmarva’s forecast for the next three weeks is rain, rain, and more rain. We all know the weather forecast can change faster than any of us can actually keep up with — however, your septic system can greatly be affected by prolonged periods of damp weather, even in the summertime. It’s important to remember your septic system’s job is to constantly dispose of the water you’re using in your home. All this water must be absorbed into the ground. When weather patterns create saturated soils with relentless moisture, it’s very hard on the septic system to dispose of the necessary wastewater without creating problems. Problems with septic systems are a lot like health problems — if you catch them early you may be able to prevent a catastrophe. Since a septic system’s job is to add wastewater to the soils, if the soils are wet from rain this can cause sewage to backup or come out the ground. Have you ever seen sewage in someone’s yard? It’s a nasty experience. Pumping your septic system during prolonged weather extremes can help your septic system make it through the storms without any problems. When you pump your septic tank you create a place for wastewater to be stored. 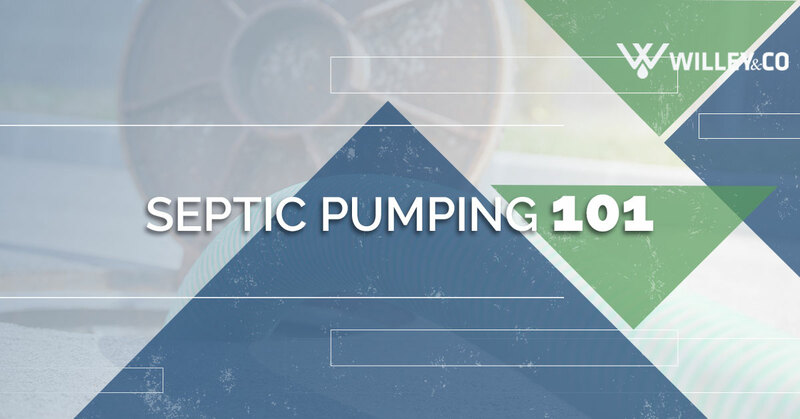 Most septic tanks are about 1000 gallons. The outlet pipe on septic tanks is only four inches below the inlet pipe. This means you have about 950 gallons of wastewater you can use before the septic tank needs to start sending sewage out to the septic system again. This usually equates to four or five days for an average family. This can make a huge difference in a septic system’s ability to coexist with heavy weather without having problems. Give us a call today and we will get your tank pumped out to make sure your septic system is problem-free throughout this nasty weather.